The Sick Time Clock…Has Run Out of Time. The new Massachusetts Earned Sick Time Law took effect over 5 months ago on July 1, 2015. 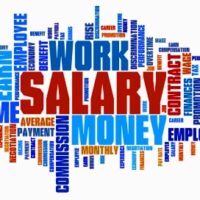 As predicted, the latest wave of ‘wage and salary’ type complaints and lawsuits in Massachusetts are trickling in to my plaintiff-lawyer colleagues. Do not underestimate the consequences of failing to comply with the MA Sick Time Law. Civil citations of up to $25,000 per violation, individual lawsuits and class action lawsuits with potential personal liability for treble damages plus attorney’s fees and costs are a real and serious risk. The ‘juice’ as they say, is not worth the ‘squeeze’ on this. The aggregate cost of providing unpaid sick time (less than 11 employees) or paid sick time (11 or more employees) is almost certainly less than the financial consequences of non-compliance. If you are a business and would like to consult an attorney with respect to your requirements under the MA Sick Leave law please call The Jacobs Law at 1-800-652-4783 or email us at ContactUs@TheJacobsLaw.com.